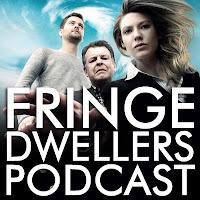 Jen and Adele dip their toes into the murky onion soup of Fringe's sixth episode, The Cure. We discuss our thoughts about the Olivia backstory relevations, Peter's deal with the devil (and by that we mean Nina Sharp) and the gutwrenchingly funny Walterisms of this episode. Emails, voicemail and our plans for the mini-hiatus are also discussed. Show notes are available at the Fringe Dwellers homepage.